IT WAS Christmas Eve and Kevin Showalter just wanted to get home. But first, he had to deal with the flat tyre. 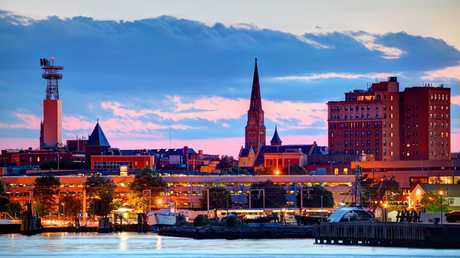 Showalter was a 20-year-old college student, and he and his girlfriend Debra Emilyta were just two blocks from home when she blew out her tyre. Frustrated, as it was past 11pm, she pulled over and Showalter hopped out to quickly change it. Being leafy New London, Connecticut, the streets were dimly lit, and the neighbourhood was a sleepy, yet collegiate one. As Showalter crouched down to change the tyre, a vehicle sped down the avenue and struck him at speed. 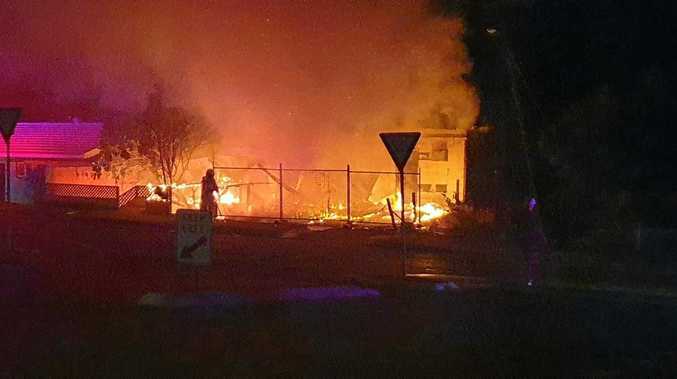 As the car tore down the dark street, Emilyta, and several residents drawn out of their houses by the commotion, saw the tail lights fade, but didn't get a description of the car. The ambulance arrived four minutes later and Kevin was pronounced dead. Two policemen woke Kevin's mother to break the news. When Kevin's grieving mother Lucille turned up at the station a few weeks later to gather his personal belongings, she was told bluntly they had been lost. When she pressed further, she was told the case wouldn't be solved, and she should get on with her life. Lucille was furious. "I couldn't believe it," Lucille told Who magazine in 1978. "I felt if the mystery of his death couldn't be solved, it would be as though he never existed. "I knew there was a car and a driver. If I had to go to the ends of the earth to find them, I would." Mrs Showalter became convinced that police weren't taking the investigation seriously, and so she was tenacious in her own investigation, searching local garages and used car lots for a vehicle which matched the dark green paint particles found on Kevin's clothing. Frustrated when this turned up nothing of note, she systematically scoured the streets for any damaged cars of that colour, then began to pore over the actual crime scene for evidence the police may have missed. She started to doorknock her community and conducted extensive interviews with anyone who drove past the spot where Kevin was killed. Locals labelled her eccentric, although they took pity at her plight. When she collected her findings and handed them to police, they were unimpressed, and accused Mrs Showalter of withholding evidence. Undaunted, she carried on, expanding her inquiries and imploring the media to highlight the case. 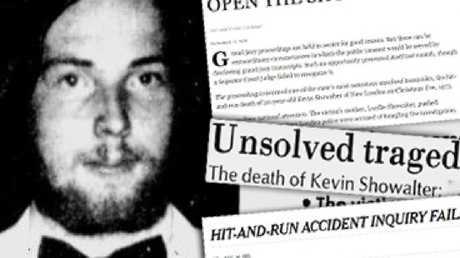 She convinced the state of Connecticut to put up a reward of $2,000 for any information: a paltry amount, but proof that the circumstances of Kevin's death were being taken seriously at a state level. Another positive sign came in the form of her new friend, Harvey Mallove. 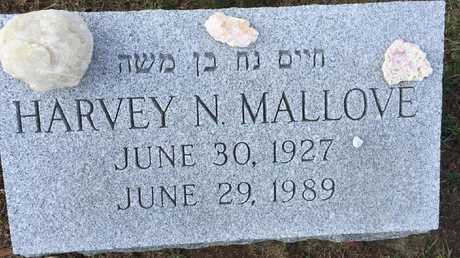 Mallove was the former mayor of New London, who now worked as a jewellery merchant, a line of work that made him very wealthy. When Showalter was canvassing the area for witnesses, Mallove told her he had driven past the scene of the accident at 11:12pm, which was less than a minute after the vehicle struck Kevin. He reported a green car parked by the side of the road, and a middle-age man, who was talking to a young woman, presumably Kevin's girlfriend Debra. This was compelling, as it placed the green car at the scene within the correct time frame, and also gave a suspect: albeit a vague descriptor of one. 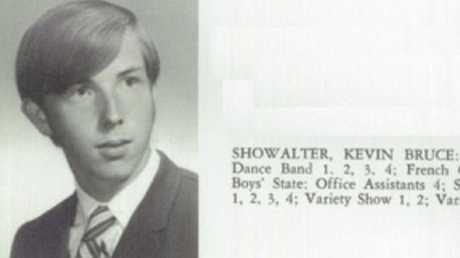 Showalter's lobbying soon paid off, as in December 1976, three years after Kevin's death, the governor of Connecticut, Ella Grasso, assigned a one-man grand jury to the case. What followed was the most expensive and extensive hit-and-run investigation up until that point. The state police spent over $1 million, called 107 witnesses to testify, and discovered that the New London police had dropped the ball on their initial investigation. Aside from Showalter's personal effects, other key pieces of evidence from the accident scene had been lost: plastic from a signal light, and a large slice of green paint from the vehicle. Things took a sinister turn when the state police found the green paint particles on Kevin's clothing - the one piece of evidence Lucille had hinged her own investigations off - had most likely been planted after the fact, and weren't from the impact of the car. This was no longer a case of a botched investigation. Someone was actively covering something up. As the state cycled through the witnesses, the grand jury hearings blew out into a five month ordeal. Superior Court Judge Joseph Dannehy concluded that New London police had done "virtually nothing" to find the hit-and-run driver. Seven different eyewitnesses directly contradicted Mallove's statement, claiming they never saw a green vehicle at the scene, nor his Lincoln Continental pass by, and that no vehicles showed up until an ambulance at 11:15pm. Most damning of these witnesses was Emilyta, Kevin's girlfriend, who confirmed she had spoken to nobody, there was no middle-aged man nor green car, and the former mayor's entire story was a fabrication. Dannehy couldn't overlook this. He concluded that Mallove was the "probable" driver of the vehicle that struck and killed Showalter, but recommended against prosecution, as the case had already been bungled past the point of rescue, with key evidence missing or grossly mishandled. Dannehy stated it was likely the evidence had been tampered with. "A likelihood too strong to overcome", he concluded. Mallove walked free. Lucille was shocked by this revelation. "I looked on Mallove as a good Samaritan," she explained, "someone who could help me." Mallove rejected the findings, and offered to take a lie-detector test to prove his innocence, which he duly passed. He remained involved in the investigation, paying for a private detective to both clear his name, and bring justice. "I didn't do it," he explained in 1978 of his continued involvement. "Now we're trying to find out who did." Lucille never publicly revealed whether she believed Mallove, but seemed vindicated by the finding and the extensive lengths taken by the state police. "I'm not vengeful, but a mother has to tend to her family. When someone dies, that need to tend does not die. I was tending to Kevin by searching for the truth." 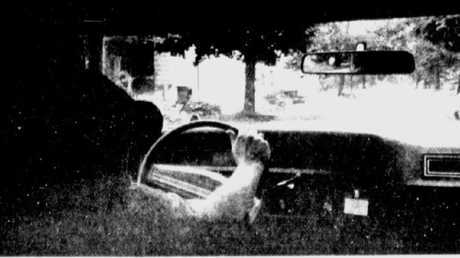 The search for the truth took an interesting turn in September 1979, when a man named Paul Hansen confessed to being the hit-and-run driver. As it was Christmas Eve, Hansen had been out partying and evidently drove home, despite being blackout drunk. As he groggily sped up Pequot Avenue, the same street Showalter had been killed that night, he felt some minor impact. He ignored it, and woke the next morning with little memory of how he got home. As he surveyed his car, he discovered some minor damage that must have been inflicted the previous night. As reports about Showalter's death flooded the media, he recall his route home, the minor bump, the damage, and made the troubling link. As it was close to six years before Hansen owned up to the accident, the statute of limitations to charge him with the death had run out. Nevertheless, this confession sparked another grand jury investigation, which promptly dismissed his confession as being baseless. They sealed the transcripts of the investigation, as well as those of the previous grand jury, and the case slowly faded from public view. 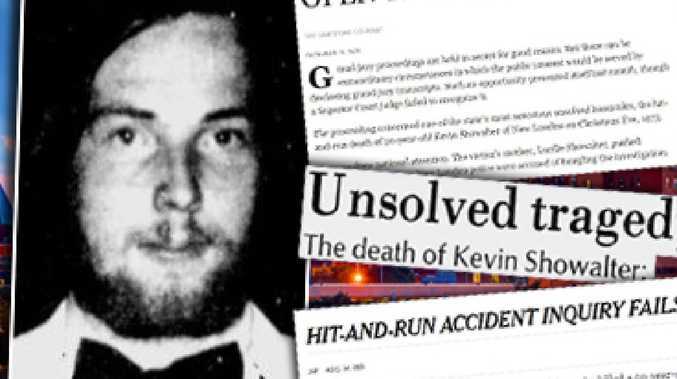 But if Hansen was off the hook legally, he never forgave himself for Kevin's death, and in 2005 he took his own life, leaving behind a suicide note in which he described the guilt and sorrow he lived with for over three decades knowing that he caused Kevin's death. This tragic occurrence sparked local newspaper The Day of New London into launching its own cold case investigation into the matter. They attempted to unseal the court records and requested the transcripts. Judge Elaine Gordon denied the request, stating the case was too old to be relevant, citing instead "journalistic intrigue" and suggesting it was merely "reflective of some public curiosity." This struck many as suspicious. A damning piece published in the Hartford Courant in 2005, under the name "Open The Showalter File", suggests nefarious motives may still be at play. "There may be evidence of collusion or cover-up. Conversely, there may be an opportunity to lift the cloud under which the Mallove family has had to live for nearly 30 years. The age of the case is a reason to reopen it. Most of the principals, including Mr. Mallove, Mr. Hansen and even Judge Dannehy, have passed away." The Courant was onto something, although it's impossible to know if it is collusion, cover-up, or just plain incompetency. The real reason the request was denied, it later became apparent, was that the files no longer exist. The largest hit-and-run investigation ever conducted, 12 volumes with over 3,000 pages of documents contained within, records from two grand jury hearings; all of these files have mysteriously vanished. There were no copies made. And with that, the case of Kevin Showalter's tragic hit-and-run death disappeared along with those files. It seems unlikely we will ever have a satisfactory conclusion to this case. Mayor Mallove continued to deny his involvement in the hit and run for the rest of his life.